Moving from awareness, to action! When you think of October, many think of the color pink. Unfortunately, all this pink isn’t making enough of a difference in the number of women who get screened for breast cancer. Screening rates continue to fall for women ages 50 to 74, from 86% statewide in 2000 to just 68% in 2014. In an effort to increase these numbers, the State of Alaska has joined with the Alaska Primary Care Association to provide Quality Improvement Coaching to community health cancer centers. The goal is to increase the number of women screened for breast and other types of cancers. She was diagnosed with diabetes, lost a large amount of weight, then was diagnosed with breast cancer, and she lost weight again. Throughout Alaska, community and tribal policies are directly reducing the health risks of tobacco by helping people quit tobacco use, preventing adults and children from starting tobacco use, and decreasing exposure to the toxins in secondhand smoke. The Yukon-Kuskokwim region in Southwest Alaska is one of the largest geographic regions in the state that faces challenges related to traveling from community to community due to difficult weather, the lack of roads, and cost for airfare. The Yukon-Kuskokwim Health Corporation (YKHC), headquartered in Bethel, is striving to overcome those challenges and implement key efforts to reduce or eliminate the leading cause of preventable death and disease in Alaska – tobacco use. Bethel is a regional hub that serves 56 communities, each with a federally recognized tribe. The tribes have authorized YKHC to act on their behalf to provide health care services under the Indian Self-Determination and Education Assistance Act of 1975. YKHC’s health care system — including village clinics, sub-regional clinics, and a regional hospital in Bethel — provides primary health services, dental and eye care, mental health services, substance abuse counseling and treatment, health promotion and disease prevention programs, environmental health services, and more. Since 2008, YKHC has received financial and staff support from the State of Alaska Tobacco Prevention and Control (TPC) Program through the Community-Based Prevention Grant Program. YKHC’s Tobacco Prevention program is committed to implementing proven methods to prevent the initiation of tobacco use among youth and young adults, eliminating exposure to secondhand smoke, and making it less socially acceptable to use tobacco. In 1998, Bethel was the first community in Alaska to pass a local workplace ordinance that banned smoking inside workplaces and eliminated exposure to the toxins in secondhand smoke. Bethel was also the first rural community to enact a local price increase on cigarettes and other tobacco products, motivating several other communities to follow suit. YKHC is the health corporation that has produced the highest number of tribal smokefree or tobacco-free policies in the state, despite serving a large number of tribes and its geographic challenges. The YKHC Board of Directors recently approved the addition of a sixth ‘Napartet’ (means pillar in Yup’ik), the organization’s strategic plan known as Healthy People. This strategic initiative prioritizes population health improvements, specifically aiming to reduce tobacco use among youth and young adults and improve oral health in the YK region. YKHC enhanced its Brief Tobacco Intervention model by improving RAVEN, YKHC’s electronic health record system, to screen for tobacco use, advise quitting, and refer patients to their tobacco cessation program. This model puts emphasis on two products that have high use in the region: commercial smokeless tobacco and Iqmik (a homemade mix of tobacco leaves and burned tree fungus ash that is highly addictive due to its ability to increase available free nicotine to nearly 100 percent). The Brief Tobacco Intervention is an evidence-based approach that ensures each patient is screened for tobacco use and history, advised to quit, and referred to a cessation counselor. All YKHC cessation counselors are fluent in both Yup’ik and English so they can provide effective services to anyone in need. Customizing the electronic health records system allowed for faster, nearly automatic referrals to these counselors. This significantly increased cessation referral rates. Before customizing the electronic health records system, reports showed only 20 cessation referrals each month. Cessation referrals jumped to 119 within the first month of changes to the records system, and 209 in the second month after changes. Total referrals have since tapered off to an average of about 160 per month. YKHC also has strengthened its tobacco-free campus policy, both in Bethel and in the surrounding 56 village clinics. YKHC has established a task force to update its existing campus policy so that it will consider the local cultures, vast geography, and the multiple locations throughout the YK Delta that house and care for residents. 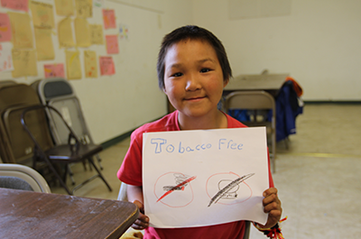 YKHC is committed to reducing the high rates of tobacco use in the YK region. It is one of six public health regions in the state that partner with Alaska’s TPC program to reduce tobacco use and promote cessation. 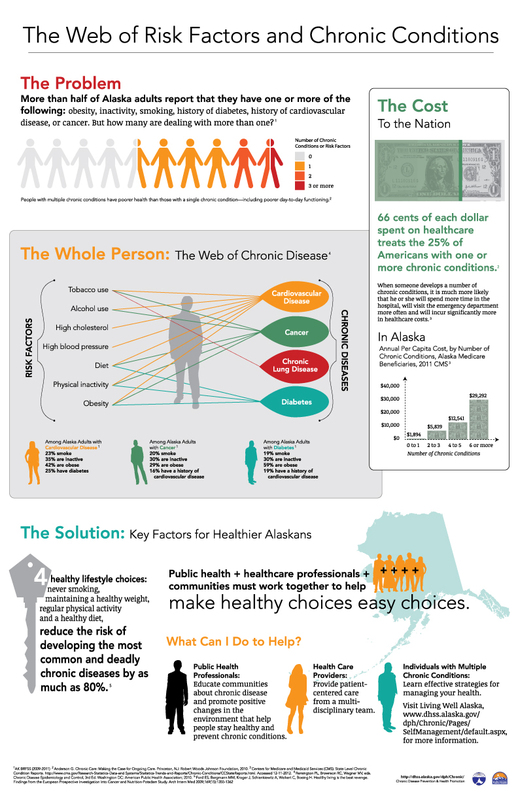 To learn more about these partnerships, visit the Tobacco-Free Alaska web site. Angstman, Patten et al., Am J of Health Behav. Photograph courtesy of the Yukon-Kuskokwim Health Corporation. CDPHP Public Health Webinar Series. Check out the list of upcoming webinars and register to attend. When: October 1, 2016 - 11:00 a.m.
A FREE event that takes place annually to honor and celebrate those touched by cancer. What: Entertainment, information, workshops, free gifts, and a goodie bag for the first 150 through the door. A FREE breast cancer awareness and survivor celebration. When: October 13, 2016 - 8:00 p.m. When: October 29, 2016 -11:00 a.m.